Brand It Like Bond. James Bond. Nobody brands it like Bond. Dude comes out top, no matter the situation he finds himself in. He’s been at it for decades, even. but his biggest weapon of choice? No faster means to ski down a snowy hill? He whips out his cello case, jumps right on and dodges a barrage of bullets while he’s at it. In need of cooler methods to get a confession? He wrings one out from his hostage with her very own bikini. Chauffeur got shot dead with a poison dart? He drives from the backseat and gets on with it anyway! For a brand to be sustainable, it needs to be able to do the same. That when you find yourself stuck in a rut, you have to think fast, act even faster and make fortune favour you instead. Move with the times! The suave spy of yesteryear starting to lose his appeal? 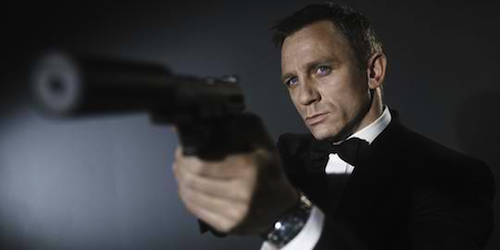 Opt for someone emotionally conflicted like Daniel Craig, with real human killer instincts and combating skills to boot. The world opts for Windows-based PCs? Challenge them to think different, like Apple. Creative executions no longer what people are looking for? Change is the only constant, after all. It is not easy, but the survival of your brand depends on it. Can your brand adapt to change? Can We Have Real Change, Please?